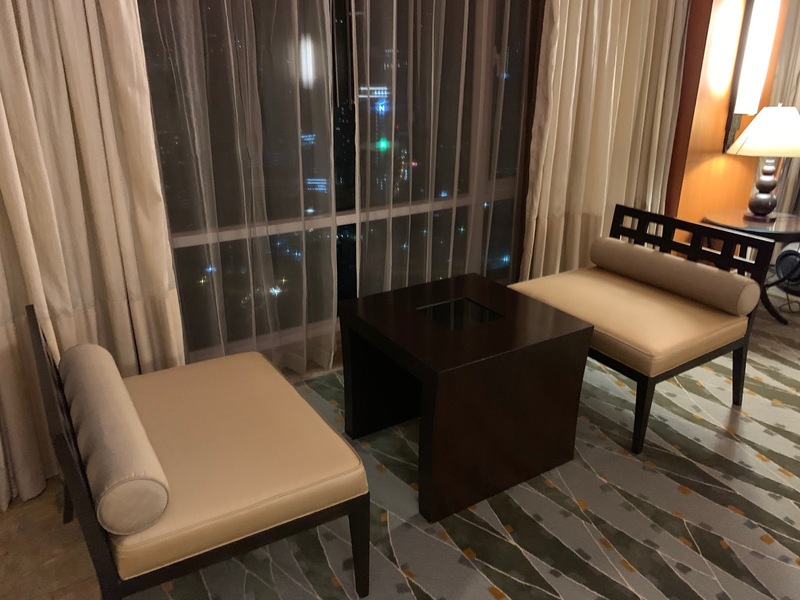 How to get here: We landed at Bangkok Airport after 11pm and took a taxi to the hotel. Having booked a flight on Malaysia Airlines arriving in Bangkok around 11:10pm on a Monday and then a flight departing for Bali via Kuala Lumpur the next day at 11:05am, I was really inclined to book an airport hotel. 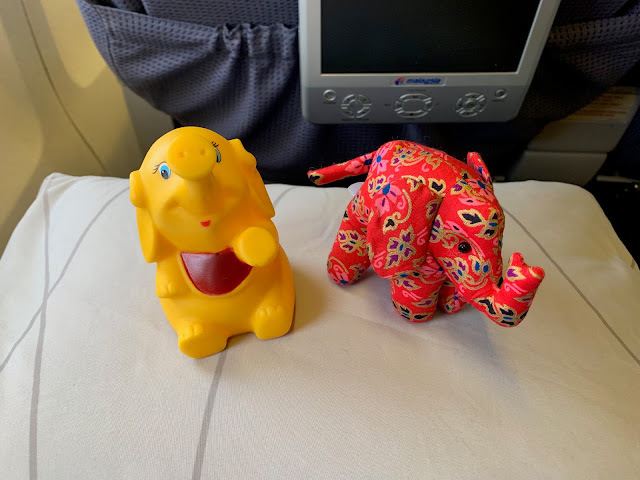 But for some reason, I decided to book the Conrad Bangkok even if I´d stayed there before since I wanted to have their Conrad elephant again. Little did I know that it would be one of the best decisions I´d ever make. On the night of our stay, I checked in on the app around 8:30pm while in the Malaysia Airlines Regional Lounge in Kuala Lumpur Airport waiting for our flight to Bangkok and saw that I was upgraded to an Executive Twin Room on the 20th plus floor. (Hilton´s Our Choice). OMG😍😍 Can this be true? I was thinking maybe the Hilton app had some technical issues. When we arrived at the hotel around 12midnight, we were welcomed by a friendly staff. We were asked for a deposit through a credit card and finally given the room key to Room 32131. He did not say anything about the upgrade. I also noticed 1 or 2 more keys left which I believe were for those who still haven´t checked-in. We took the elevator to the 32nd floor and realized it was the highest floor. 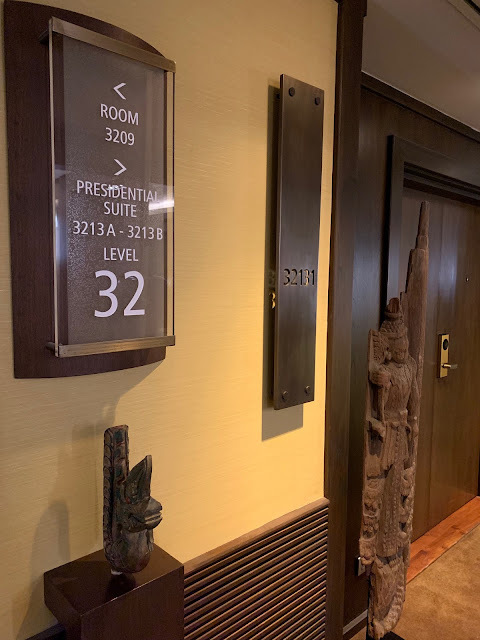 The room number was 3213A and 3213B so we were confused and also there´s the Presidential Suite (which was impossible to have) so we turned to the other side of the building. This beautiful art greets you as you enter the foyer. Immediately to the right is a console with two lamps and some Thai arts. To the left is the guest washroom. 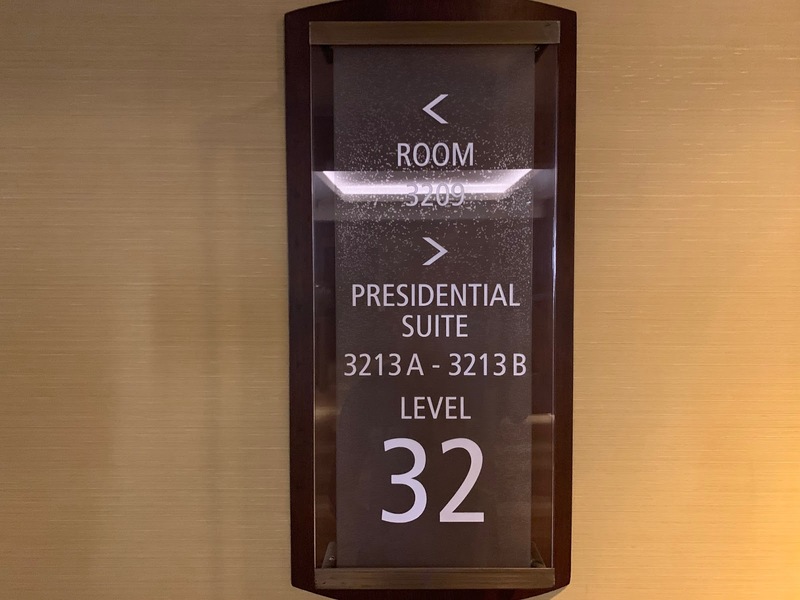 I believe Room 32132 is for the butler which is connected to the Presidential Suite located near the conference room and kitchen. Another view of the whirlpool tub and 2 sinks. This is the view from the bedroom (starting with the Office, then the living room with TV (and the living room without TV) all the way to the back which is the conference room. The kitchen is complete with oven, microwave oven, espresso machine, kettle, and ref. 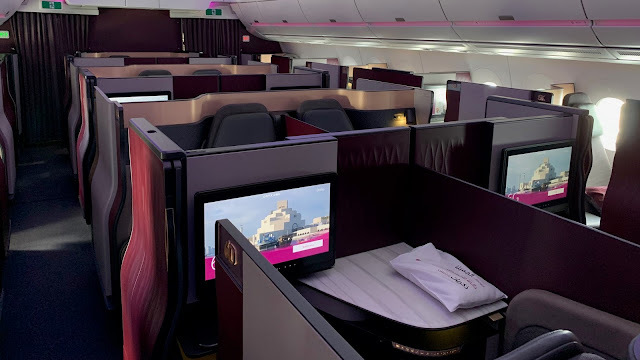 Confirmation after booking that they received my request for an upgrade. 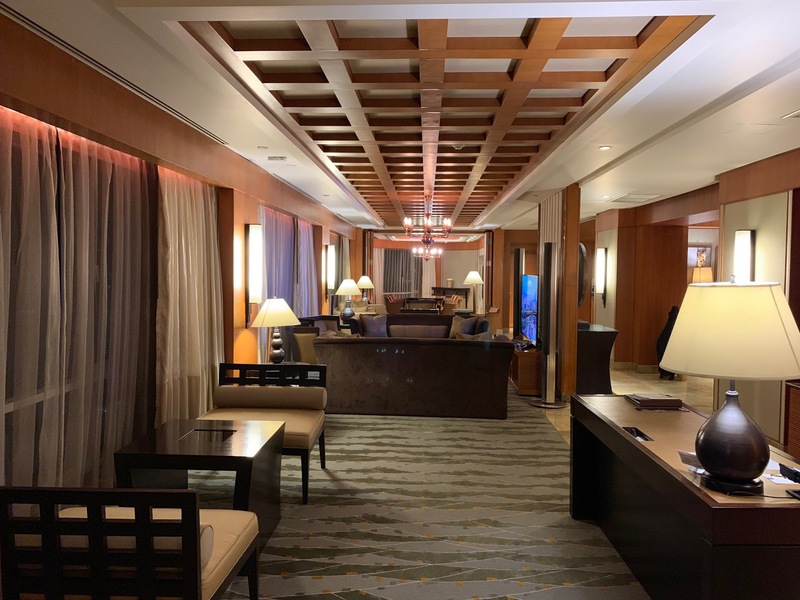 I remember writing on the comments section while booking this room that I was hoping for an upgrade to a suite as a Diamond member and that we would be checking in around 12midnight and checking out around 8am. 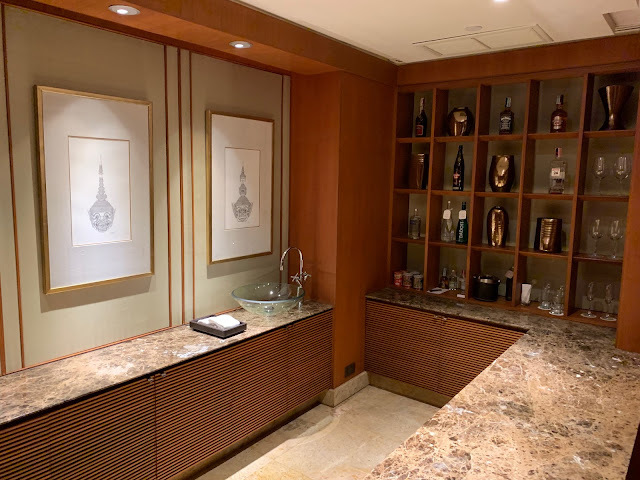 I´m not sure if it helped us get this upgrade (aside from the fact that the hotel was fully booked and I am a Diamond member) but it was such a wonderful surprise and something we will never forget. If only our stay had been longer. PS. When I checked the rate of the rooms the following day, I saw that the hotel was again fully booked. 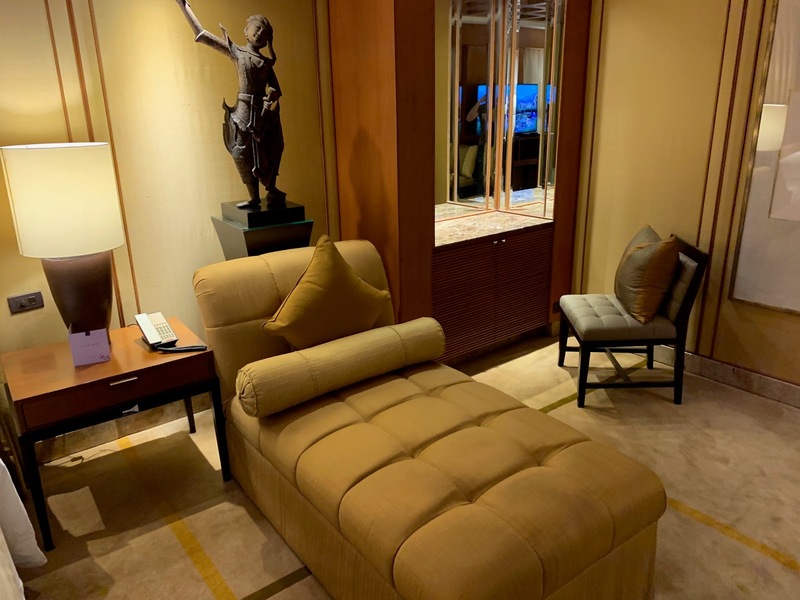 I did not see any rates for the Presidential Suite so I guess it is not bookable.